In the course of administrative reform in 2001 Pankow – Prenzlauer Berg – Weissensee became the most populous administrative district of Berlin. The southern and most famous districts Pankow, Prenzlauer Berg and Weissensee make this part of Berlin a very special place to be. Thus, all zones developed from historically rural and agricultural coverage areas for the royal court of Prussia, to a pulsing urban habitat for all population groups. Contemporary witnesses are still urban structures thereof originating in the current cosmopolitan attitude of Berlin, attribute on the immigration policy of the 17th century. The resident artisans and farmers from the European neighbourhood designed those foundations. On an area of 103 square kilometers witnesses of contemporary construction can be discovered from each epoch. Former industrial buildings, such as the former brewery in Prenzlauer Berg, today known as the “Kulturbrauerei”, became an international cultural venue. Other similar locations are very popular addresses for companies of the New Economy. The typical old tenement blocks of Prenzlauer Berg evolved through the special law for restoration to price-intensive and attractive residential areas with a plenty of cozy cafés, trendy bars and restaurants. Via the major routes Schönhauser Allee, Prenzlauer Allee and Greifswalder Straße an ideal connection is given to the periphery and the countryside surrounding of Berlin. The public transportation network allows a car-free city life. All residential quarters are perfectly supplied by infrastructure. For recreation and relaxing there are public parks and gardens nearby. In the early twenties the still popular housing projects of Bruno Taut were built. 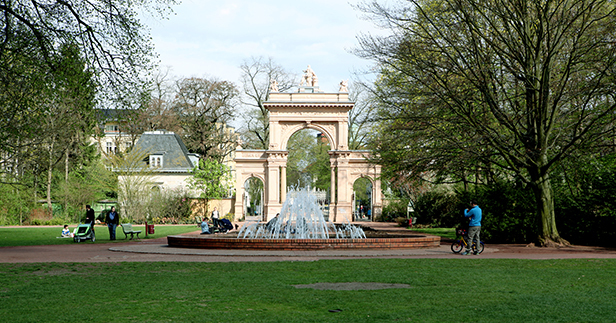 Legendary is also the former residential district of Pankow which is now a popular location for embassies and upper-class quality of life. The large panel buildings in the sixties in the districts Heinersdorf and Buch attract a solid tenant structure. Especially the medical clinic site Buch, with its numerous faculties, is one of the largest local employers. In the early nineties the major development area in Karow was developed as a new family-oriented residential area. Excellent transport links to the inner city offers optimal living in the outskirts of this district. 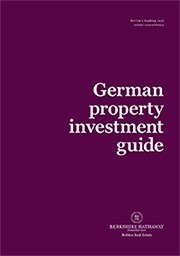 This diversity is a clearly evident on the Berlin real estate market. In summary, this district with about 376.000 inhabitants, is the most varied and dynamic one in Berlin. Living and working with optimum quality of life and infrastructure.